Fashion in Film curated a series of shorts for the inaugural video festival at the Nikolaj Contemporary Art Centre in Copenhagen. The festival celebrated new Danish video art, international video, music videos, fashion videos and VJ-arrangements. Inga Fraser travelled to Denmark to introduce Fashion in Film’s selection. Taking our cue from the current explosion of fashion film, this programme expands on themes explored as part of Birds of Paradise to look at the historical precedents of this new ‘genre’ of video work. At Nikolaj Kunsthal, Fashion in Film brought together early films from pioneering figures including Georges Méliès, Alice Guy-Blaché and Segundo de Chomón to contextualise contemporary fashion industry practices. These films are characterised by the energetic manipulation of fabric through dance; the recurrent motifs of transformation, revelation and display; and the glorious tint or stencil methods of colouring. Through this selection of shorts from the 1890s and 1900s, we explored how fashion or costume in film has been used, then as now, as an important means to showcase cutting-edge technology and how clothing is used to ensure aesthetic concerns are privileged over narrative. 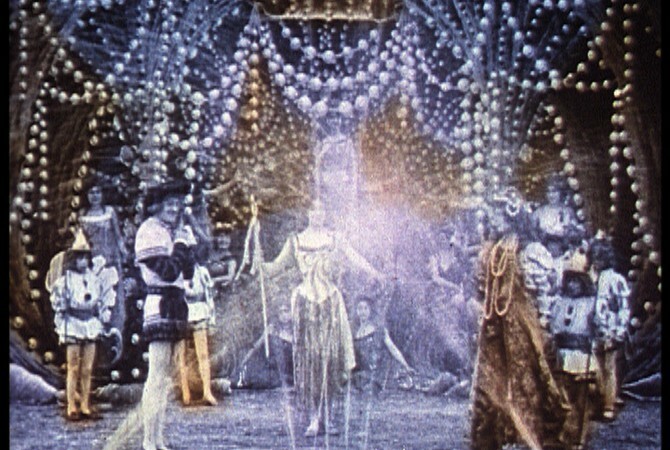 The results of experimentation with an emergent form, the directors who produced this work at the turn of the 20th century have much in common with directors producing fashion film at the turn of the 21st century. In both ‘genres’, fashion and costume are the means by which filmmakers have produced unrivalled spectacles to dazzle their audiences. 14 May 2011 – 19:00 Associate Curator Inga Fraser introduces the programme, followed by discussion on contemporary fashion film with designers Vilsbøl de Arce.